This interactive and creative event celebrates the many valuable patient and public research partnerships with the University of Plymouth. Our marketplace will offer a Co-production In-Action Zone in a series of over 20 interactive research stalls. A Patient, Service User and Carer Community Café will offer visitors the opportunity to engage with current and future research in a ‘recruitment fair’ for PPI - patient and public involvement - research where visitors can explore and sign-up to be involved in future ventures. The event will also include a panel discussion around the importance and future of co-production, involving speakers from the University, Plymouth City Council, Derriford Hospital, Plymouth Primary Care and Patient Groups. Importantly, as the first event to bring together stakeholders from these groups, it will provide a unique opportunity for all those attending to make connections, and become involved on various levels with future research, teaching and outreach at the University and in local and regional communities. Join the conversation on social media with #Plymresfest. Please email any event queries to events@plymouth.ac.uk. Explore over 20 research stalls in the 'marketplace' - showcasing successful University interdisciplinary research projects. Also featured is the launch of the University of Plymouth Medical Humanities Research Centre and “CHART”: the Community, Health, Humanities and Arts Research Team. Visit the Peninsula Patient, Service User and Carer Community Café and discover how patients and community partners can be involved in current and up and coming ventures. 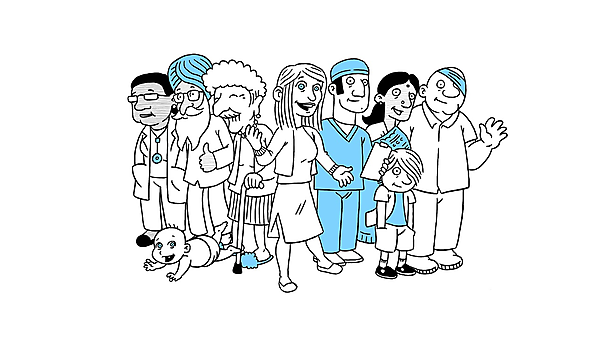 19:00-20:00: What is the future of patient partnerships in research at Plymouth and beyond? Sol Mead, National Lay Representative Lead for Medical Revalidation. Also a 'Question Time' style audience Q&A, chaired by Professor James Daybell. A panel discussion sets the foundation for networking, meetings and advice and support from funding staff. - How does PPI in the teaching and assessment of vaginal examinations affect the knowledge, skills and attitudes of medical students and staff? - Patient and public involvement: So what? - What is revalidation in public? Celebrating the very best of Plymouth's rich and varied research, creating an impact - from local to global.